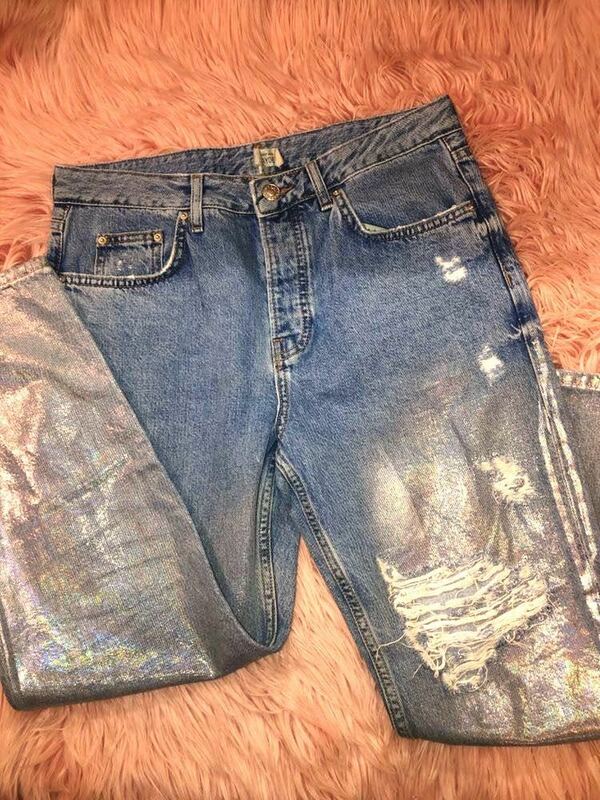 Metallic iridescent boyfriend jeans with slight distress on front leg. Worn maybe twice. smoke and animal free home. Too big for me in the waist & they are cropped on me but I am pretty tall.